I have been stopping by the White Rock Creek Bike Trail in Lake Highlands on a weekly basis for roughly two months now. The main objective of my visits was to photograph and record the progress of an active Red-shouldered Hawks nest. Over this time I’ve had the opportunity to get to know some of the bike trail’s regulars. 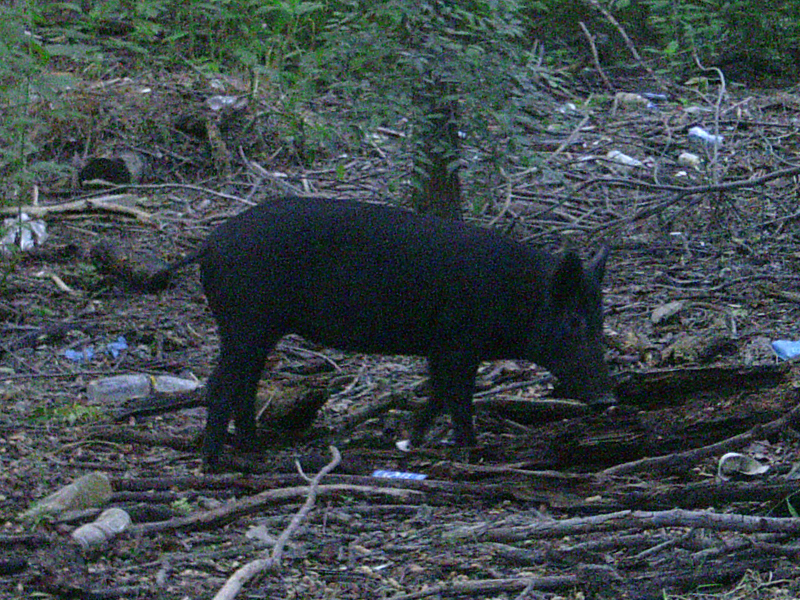 Invariably our conversations would turn to the park’s wildlife in general, and its Feral Hog population in specific. I heard many stories about the resident pigs. Everything from guys on and ATV hunting with a crossbow and harvesting a Feral Hog, to full sounders crossing the bike trail early in the am. Most concerning were the tales of Feral Hog hunts. If true, this is poaching, and should be reported to the proper authorities. 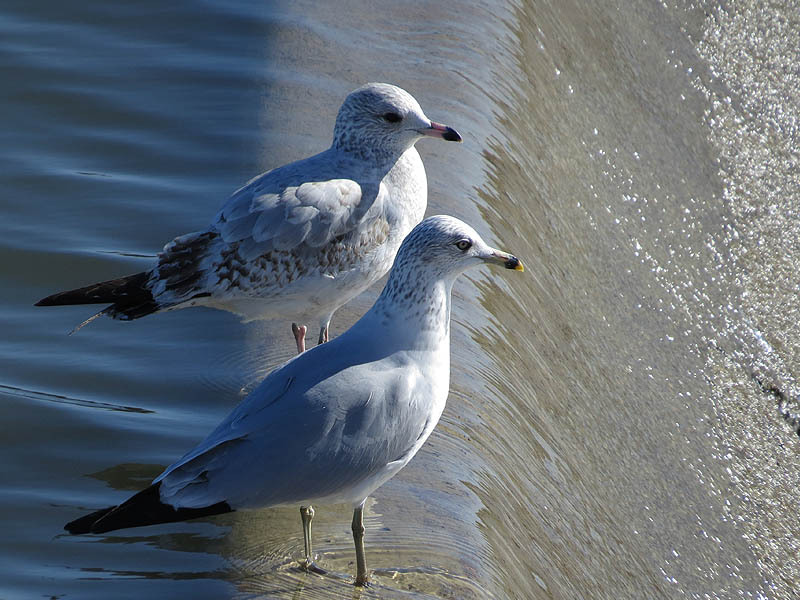 If there is a full sounder in the Lake Highlands area, it is likely that it will have to be addressed eventually, but hunting in a park within city limits is unlawful. 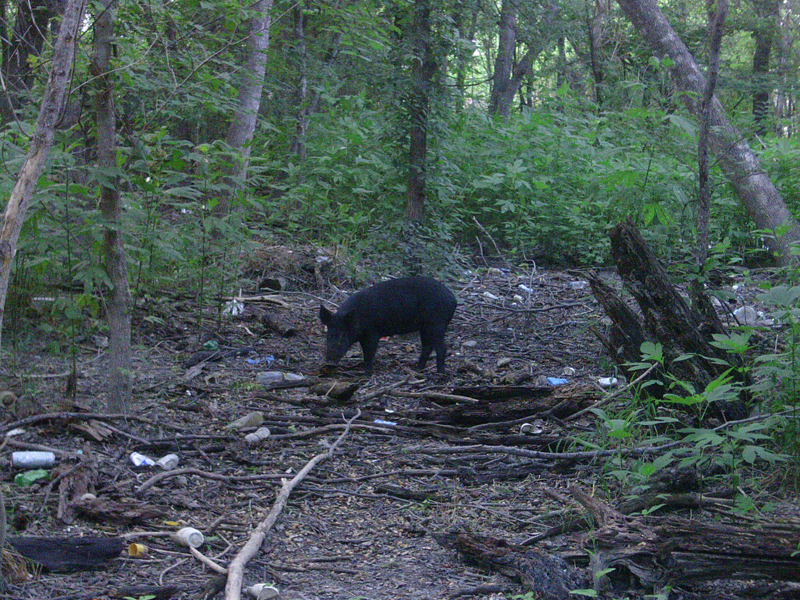 All these stories came from reliable observers, so they naturally made me curious about re-investigating the Feral Hog situation there north of White Rock Lake. Last week I returned to the area with my handy Scouting Cameras. And, after a week of surveying, what did I find? Just one Feral Hog. The same one I have been recording all year. She’s a little bigger now, but she is definitely the same hog as from my previous reports. So how many pigs are there in Lake Highlands? I’m not so sure anymore. 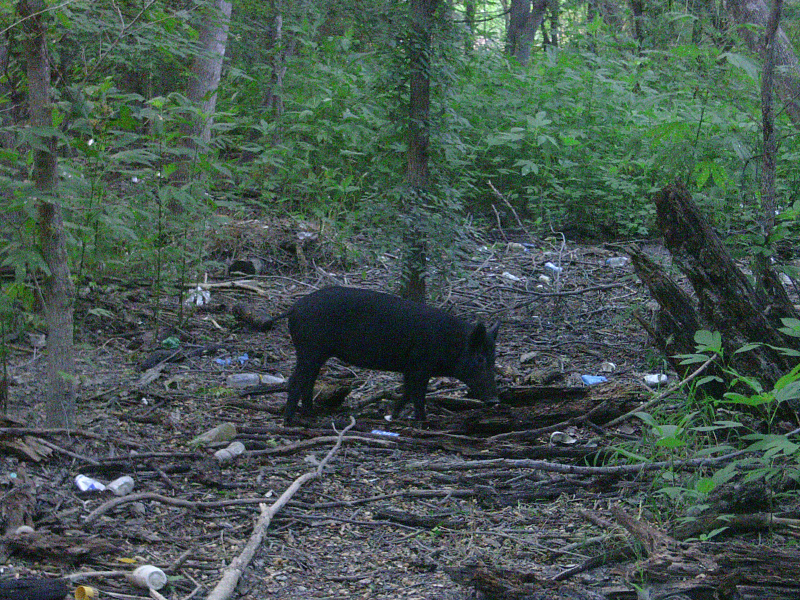 I will continue to investigate, but in the meanwhile, If any of my readers who spend time in this area have photos or information about the hog population there, I would love to hear from you. Feel free to use any of the contact facilities provided on this web site to reach me: comments, email, Facebook, and Twitter.